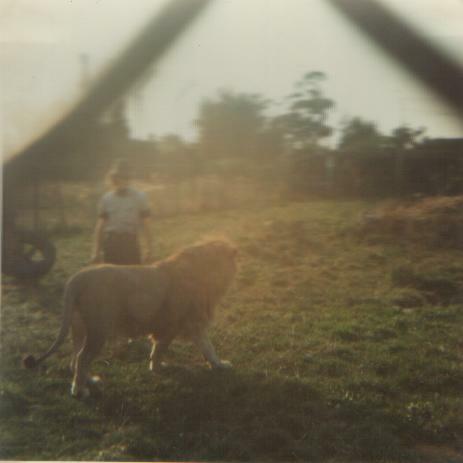 A novelization of my thirty odd years as a Zoo Keeper in England during the 1970’s and then nearly twenty years at Healesville Sanctuary. Returning to Melbourne from a jungle wat in Thailand for her father’s funeral, Jaffa finds herself in the middle of a conspiracy that stretches back to the arrival of the First Fleet and threatens the future of Australian democracy. Lily and the Drifters – a YA fantasy involving astral projection and the loss of family. Jimmy Nicholson picked his way carefully along the pavement as he clutched his aunt’s money tightly in his gloved right hand. The snow on the ground was frozen into a knobbled landscape that made his feet slide away in opposite directions and his arms windmill wildly as he grasped for balance. He was heading to the small grocery shop at the end of the street. It was not far, he had done the walk many times before. The icy ground just made it a little trickier. The first of the group of boys threw his snowball from a distance, hitting Jimmy on the right cheek, numbing his face and leaving drops of snow sticking to its eyelashes. The second boy’s snowball hit him on the chest. It was followed by a third from behind. Watching his feet even more carefully, Jimmy bowed his head and tried to move on despite his hot stinging cheek and the hard, angry ball in the centre of his chest. Jimmy’s gaze flicked towards the boy face for a hopeful moment, but all he could see there was sneering cruelty. The final snowball hit him on his left ear, harder because it came from so close. His ear felt both hot and cold at the same time, his pain magnified by the laughter around him. He tried to run, but the ice slowed him down. Jimmy knew these boys. Not to speak to, not by name, but he had seen them pushing their way around the playground at school often enough. None of them were his friends. With a stifled sob he lashed out at the dark boy’s stomach, the blow weak, his fist glancing harmlessly off the thick winter jacket. The snowballs and taunts followed him to the end of the street. Only when he was in sight of the row of shops did they leave him. With the shopping done, Jimmy stood in the shop doorway gripping a full brown paper as he tried to think of another way home. The ice from the snowballs had dried on the lenses of his spectacles, obscuring his vision even more. He placed the bag on the step, dredged his handkerchief from his trouser pocket and cleaned the lenses, even though he knew he would have to clean them again once he was indoors. He stepped back onto the pavement, his stomach aching with the thought of what was to come. He took a careful step, directing his words to a force he did not understand, but hoped could hear him. Things like this did happen in stories, he knew. Jimmy liked to read and visited the local library every week. Story after story told of boys just like him having adventures, beating their enemies and becoming heroes. If he wished hard enough he felt sure it could happen one day. With clenched teeth and lowered head he stumbled his way home, closing his ears to the words and the laughter. They left him once he was inside the gate, not brave enough to face his aunt. Jimmy paused in the porch to clean his glasses again and wipe away the cold, melting snow that had gathered in his ears and inside his collar. He hung his coat and hat in the hallway and made his way to the kitchen. Aunt Mary was peeling vegetables in the big old sink and smiled as he came in. “Yes,” he said, putting the paper bag and the change on the kitchen table. The living room was warm, the coal fire glowing brightly as it drove the dampness from his face and clothes. He stared into the flames, leaving his imagination free to conjure up all manner of adventures. He set out the plates and cutlery every night and would never have dreamed of refusing, but it made him feel good to be asked. Aunt Mary had been taking care of him on the days that his dad went to work ever since his mum had left two years before and, now that his dad was in hospital, he was staying with her full time. She didn’t seem to mind, she was always kind to him and took good care of him. But it wasn’t like being at home. He had always been a good boy, hadn’t he? Yet. no matter how good he was, his mum was still gone and his dad was still in hospital. It didn’t seem fair. Nobody could tell him why the bullies had homes and mums and dads and he didn’t. Jimmy shook his head. Something wasn’t right with the world. If only he could find out what it was, maybe things would be better. Dream Soldier (Novel) – A man dreams nightly of the lives and deaths of soldiers from every continent and historical age. What happens when he discovers that the dreams have a basis in historical fact? Just Four Men – the revenge of a group of discarded employees. Yesterday – an epic western based around the life of a gunfighter from the 1860’s to the turn of the century. Things That Came – SF series based on alternate history where aliens landed on Earth in WWI and their technology changed the future of the planet for ever. The Soo-nar Stories Volume Two – Whingeblade, Nowan, Soo-nar, Magra, Luxor, Giselle, Jemima and the rest return for further adventures in another anachronistic and irreverent fantasy.